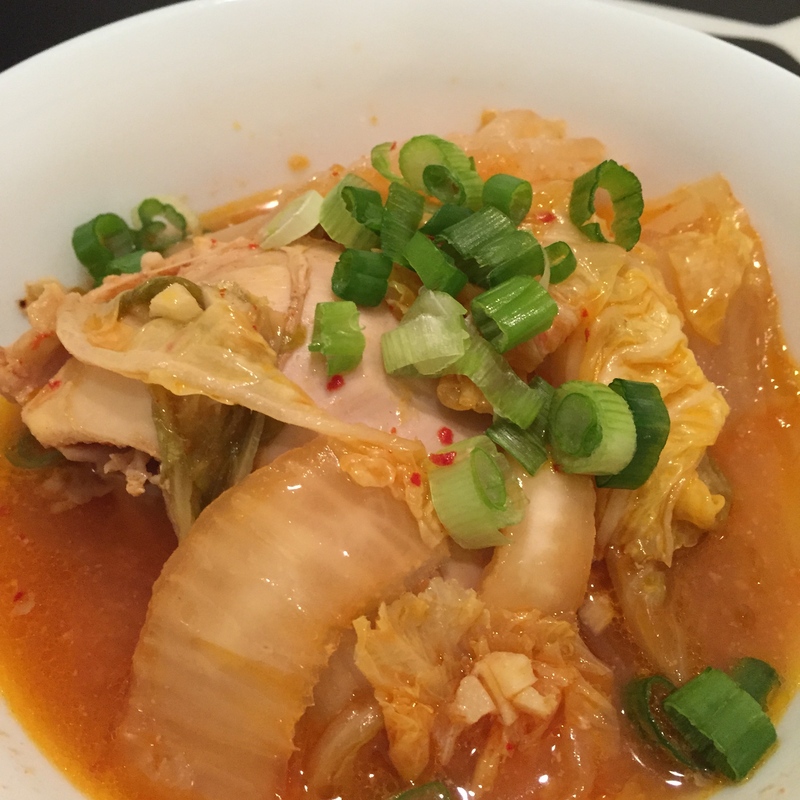 New Year’s Resolutions and Kimchi Chicken Crock Pot Recipe – Jen, Jo, and Paleo! Happy New Years, everyone! It’s always crazy to me how quickly time flies. Are we celebrating and heralding in a brand new year already? When I reflect upon the past year, it is overwhelming to realize all of the milestones that have occurred in 2014 alone. Joseph starting a new job as well as teaching a new Insanity class, Joseph completing not only a half marathon but also a 25K and a 30K race, me receiving my school and district’s rookie teacher of the year award, me undergoing foot surgery to restructure my right foot, a couple of our close friends getting engaged, my brother’s wedding to my beautiful sister-in-law, us learning how to ballroom dance, us starting a food blog (that we have sadly not kept up to date in recent months – we know, we know)… so many memorable milestones within a short span of one year. I think that we often forget to reflect on all of the wonderful things that happen in our lives. I know that many people scoff at New Year’s Resolutions, “People just stop after a month anyways! People should be striving ALL THE TIME to achieve their resolutions!” and so on and so forth. But I think it is refreshing to take the time to sit back and think about what you might want to do achieve. Why should we look down on any person who wishes to make a change in their life, even if it ends up being a temporary change? At least they tried. And who knows, maybe the resolution will stick, and it ends up being a huge part of their lives? I say, go for it. Make your New Year’s Resolutions, and don’t be afraid of what others might think. Joseph and I sat down today to reflect on our year and discuss what our New Year’s Resolutions might be. For the most part, Joseph and I have very similar goals, with minor tweaks here and there to fit our individual lives. Eat better! For Joseph that’s eating healthier and for me, that’s making the decision to eat out only once a month. Rely less on social media so that we can focus on each other and those around us (i.e for me, that means checking social media accounts once a day). Be more cognizant and reflective. This includes praying daily, being more open-minded, and being more patient and forgiving with each other and those around us. Stay active, no matter how hectic our lives become. Whether that’s training for our upcoming half marathons and/or his full marathon, or even just taking the time to dance with each other again just because. And finally, to simply love more. After going over our New Year’s Resolutions with each other, we realized that not only did we have similar resolutions, but our resolutions were really things that we should be striving for every day for the rest of our lives. So I guess, instead of calling these our New Year’s Resolutions… we should call these our LIFE RESOLUTIONS. What are your New Year’s Resolutions? I can’t leave this entry without a recipe, especially since we’ve left everyone hanging for at least a month! Shame on us! I’ve really been utilizing the crock pot a lot lately, so I’d like to share with you a recipe I tried a few weeks back. I found this recipe from a blog, Stuff I Make My Husband, and it looked so simple and easy! 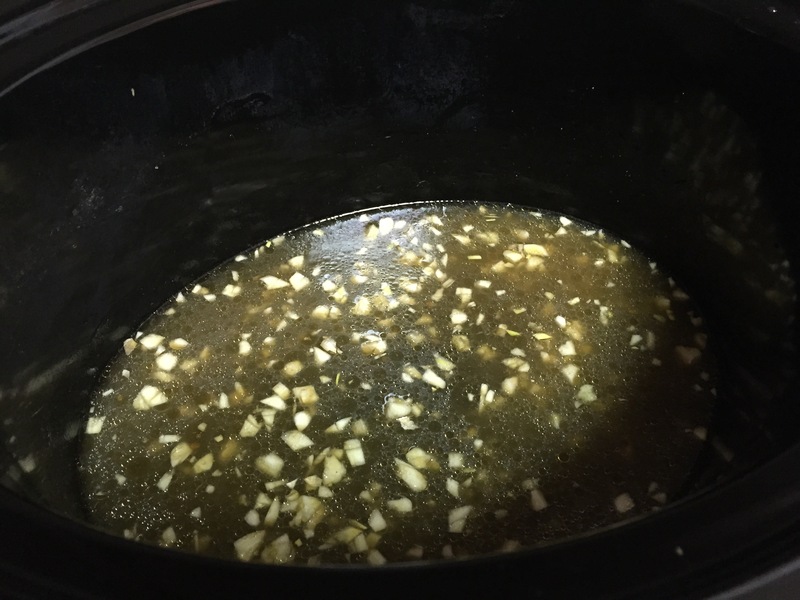 Crock pot recipes usually are quite simple and easy. You literally take whatever you think might taste good together… and just throw in the crock pot and see what happens! Seriously. Now, when I made this, it ended up having a very thin and soup-like consistency. Very similar to the korean soup, kimchijigae, but with less kick. I’m not sure if it’s supposed to be a soup, or if it’s supposed to just be chicken with cabbage that’s mildly sauce-like, but I think you can play around with the ingredient measurements and add/remove whatever you would like. I may add chopped onions next time! Combine all of your ingredients except for the scallions, chicken, and kimchi in the slow cooker. Leave the scallions and kimchi in the fridge as you won’t be needing them for a few hours! 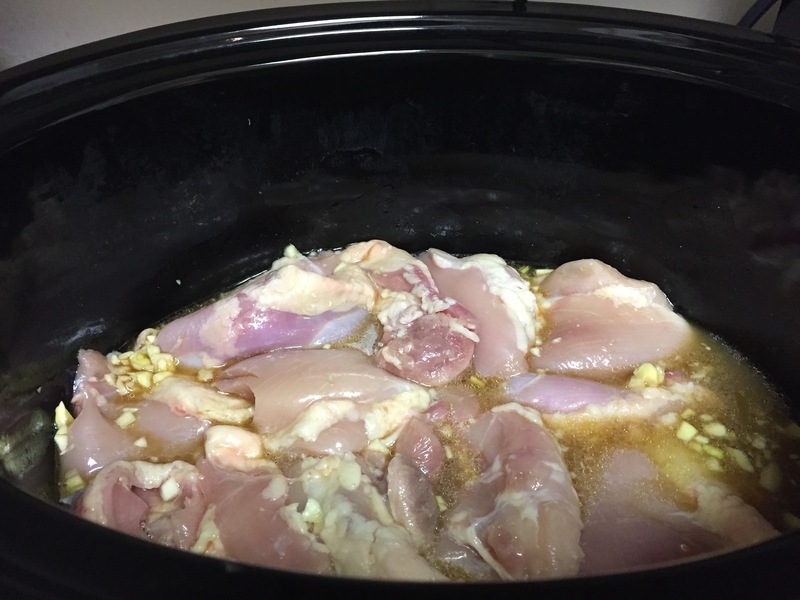 Add the chicken thighs into the crock pot, and spoon some of the sauce on top. When you are almost ready to serve, turn heat to high (or in my case, keep it on high), add the kimchi, and cook for about 20 more minutes. Serve sprinkled with the scallion greens. Voila! Easy peasy, and plenty of spicy kick to keep you warm on a cold winter’s night. Special thanks to Stuff I Make My Husband for the recipe! Previous Paleo Chicken and Kale Stew Recipe – 5 ingredients only!